Out of the blue, last night, a friend of mine asked me if I wanted to go see a movie with him. He’d been given two tickets to a showing of a RiffTrax version of Starship Troopers and figured that might be the type of humor I’d be interested in. He was right. Though I hate watching bad movies, I love seeing people make fun of bad movies. You expect it to be bad, then it turns out to be good. 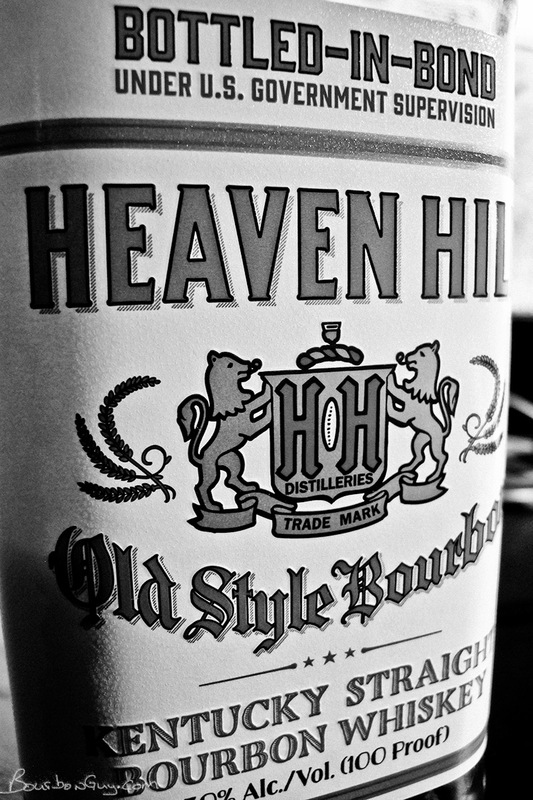 Heaven Hill Bottled in Bond is a 6 year old age-stated bonded bourbon. It’s a bourbon that doesn’t seem to get much distribution outside of Kentucky. I picked it up while in Kentucky last September as I was working out the idea that would eventually become the “If You’ve Had” series of posts (and you can look forward to it making a reappearance in one in the coming weeks). Plus the only other time I’d had it was on my first visit to Kentucky when I bought it from the gift shop stuck in a glass and I seemed to remember liking it. Purchase Info: Sadly I lost the receipt on this one and only know I was in Kentucky and it was less than $20. Details: 50% ABV. 6 years old. Distilled at D.S.P. KY 1, Louisville, KY. Bottled at D.S.P. KY 31, Bardstown, KY. Nose: Corn flakes, baking spice, honey, mild mint and oak. Mouth: Nice and spicy. Caramel with floral flavors and baking spices. Finish: Sweet and fruity with baking spices and lingering oak. Thoughts: This is really good. Unfortunately the only place I’ve found it is in Kentucky. If it were here in Minnesota, it might supplant Wild Turkey 101 as my “always on the shelf” value bourbon due to comparable age, price and tastiness. Hoping a few of these will make the trip home with me the next time I’m in Kentucky. UPDATE: It is my sad duty to report that Heaven Hill Bottled-in-Bond 6 year old is no longer with us. The product was discontinued in late 2018 and will be missed.